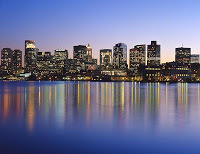 One of my readers sent this link to Boston.com with year end sales data for Boston condos. This is great information not only for agents/brokers, but for home buyers. It's also an easy way to compare neighborhoods in Boston and see what you can get for the money in each area.